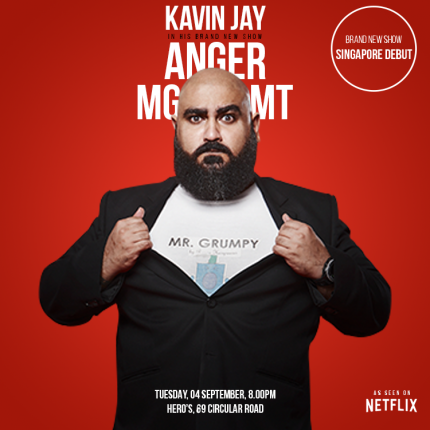 After his HUGELY successful NETFLIX SPECIAL - KAVIN JAY will debut his BRAND NEW SHOW - 'Anger Management' - Live in Singapore, and Live at Comedy Masala!! This is gonna be SPECTACULAR. The show features ALL NEW MATERIAL by Kavin Jay.